Valerie Sabatier is Director of GEM Doctoral Programs. 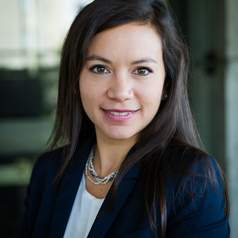 She is Associate Professor of strategy and innovation management, she lectures on the topics of strategy, business models, and innovation to both graduate students and corporate executives. She also teaches research methodologies in the DBA program. Valerie's main research interests are in corporate strategy and industry evolutions. In particular, her research examines the relationships within and between business models portfolios and strategic disruptions. Valérie Sabatier obtained the highest honors for her PhD in Strategic Management, and an MSc in Business and a Master in Biochemistry.